The capacity to predict invasiveness of plant species is important for the conservation and management of natural habitats, especially within agro-ecosystems. Many factors increase the creation of newly available niches in this type of anthropogenic manipulated ecosystem. Consequently, the presence and establishment of invasive alien species with the potential to spread and cause harm, or constrain elements of semi-natural habitat or vegetation remnants, may increase. 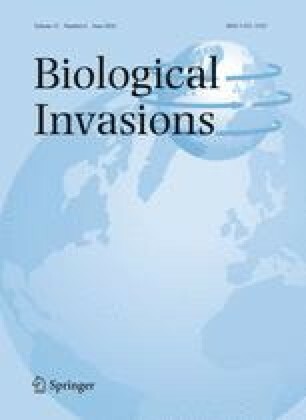 The invasiveness of weedy germplasm may be accelerated by the presence of cultivated species that are able to escape from fields also through crop movement or on livestock. The future use of agricultural land for widespread and intensive cultivation of biofuel crops for energy production increases the need for a pre-entry screening tool both for species that are new to the Italian cropping system and for the management of existing weedy species. This study aimed to assess the effectiveness of adapting the Australian and New Zealand Weed Risk Assessment (WRA) to the geographic, climatic and weed management context of Italy. We evaluated the performance of the adapted WRA on several alien plant species of known invasiveness in Mediterranean Central Italy. WRA score results were compared with a priori independent opinions of botanists with field experience in the evaluated region. The assessment procedure correctly identified 93% of invasive species and 75% of non-invasive species. Further evaluation was needed for 20% of the tested species and was conducted through a secondary screening. Throughout the whole process, only one (5%) of the investigated species could not be assessed. The results of the Receiver Operating Characteristic analysis, the consistency of the outcomes with those found in other WRA studies, the Chi Square testing categories and the high correlation between the a priori and WRA score corroborated the predictive accuracy of the WRA for determining invasive from non-invasive species. This confirmed the effectiveness of the screening process and an assessment was subsequently carried out on proposed biofuel species detecting some potential invaders. The WRA can thus be used to assess the introduction of new cropping systems and for weed management. We thank Rod Randall and Paul Pheloung for helping us to improve our understanding of the AWRAS; Doria Gordon and Bob Dixon for sharing with us their knowledge concerning WRAs; Pietro Bianco, Maurizio Cutini, Alessandro Sauli for volunteering species evaluation; we also thank Antonella Arcangeli, Vanna Forconi Piero Genovesi and Claudio Piccini of ISPRA, Sarah Brunel of EPPO, Ricardo Labrada of FAO and Walter Testa of CFS. We are particularly grateful to Phil Ladd and Giuseppe Brundu who contributed with helpful comments on the manuscript. We also wish to thank the editor and the anonymous reviewers for providing valuable feedback.